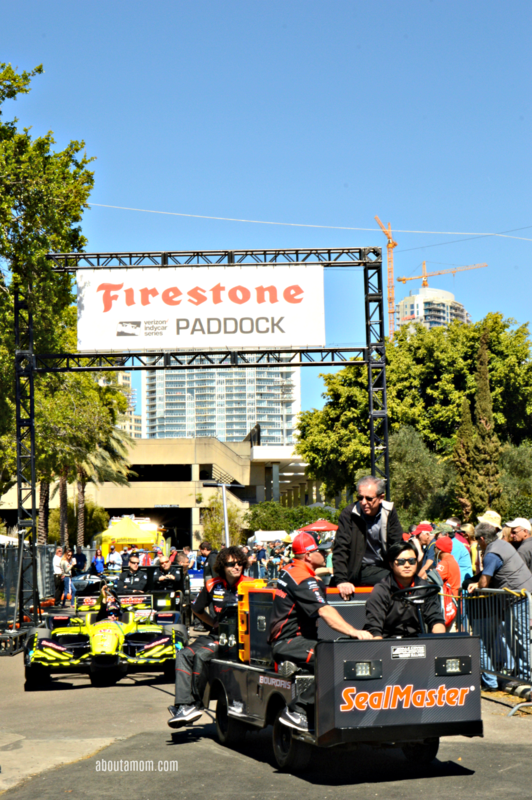 Update: Tickets are currently available for the 2019 Firestone Grand Prix of St. Petersburg, happening March 8 – 10. 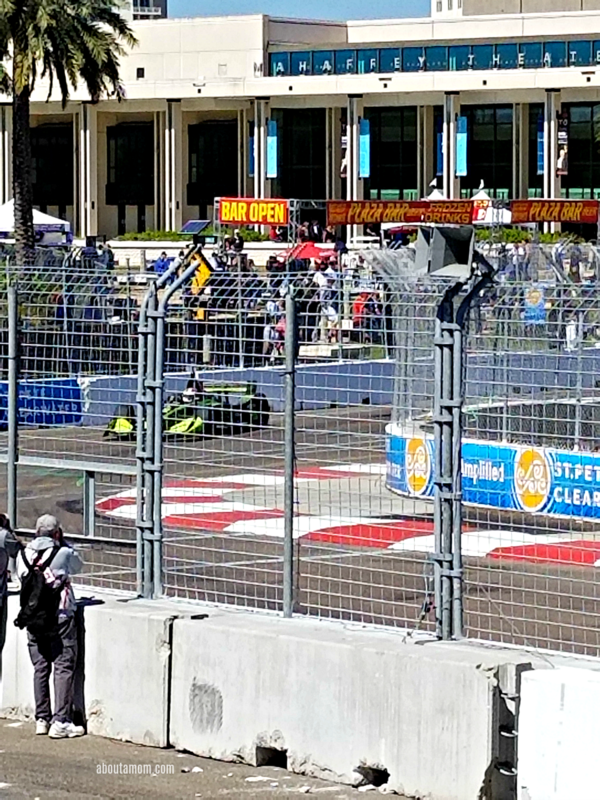 The Firestone Grand Prix of St. Petersburg is 3-days of fast cars and world-class drivers. It’s also a whole lot of family fun! The St. Petersburg Grand Prix happens around the same time each year. March is the perfect time to visit Florida, especially if you’re on spring break or wanting to escape the cold. Opportunity to high five EVERY Verizon IndyCar Series driver during the official pre-race ceremonies! I took my 9-year old with me in 2018, and she really got into watching the races. The Grand Prix can be a long 3 days with kids, if you don’t prepare. I tend to over prepare for things and this was one weekend when it paid off. Pack for Florida weather meaning bring sunscreen, a hat, sunglasses, and a poncho in case of rain. Wear comfortable shoes, and I don’t mean flipflops. You’ll be doing a lot of walking. Rest well the night before. The Florida sun and excitement of the Grand Prix races can take a toll on kids. It’s important to get plenty of rest before and after each race day. My little girl was fast asleep the moment we got into the car to head home. Bring ear buds or ear muffs for everyone in your family. The races can be very loud. Should you forget, there are some available at the event for purchase. Inquisitive kids will really enjoy paddock access to see what’s going on behind the scenes to get cars ready for the race. Paddock passes are available for a separate purchase from Grand Prix admission tickets. Stay hydrated. Be sure to drink plenty of water. I brought some electrolytes tablets from home to add to our bottled water, and feel like it really helped us to stay hydrated. No outside food or beverages are allowed, so leave your cooler at home. A large variety of food vendors are available at the Grand Prix. Just be prepare to spend the equivalent of theme park or carnival prices. Bring along some hand sanitizer and antibacterial wipes. You’ll be glad you have them. Things can get a little messy at the races. Visit the Firestone Grand Prix of St. Peterburg website and subscribe to email updates. I found these emails updates to be very helpful for planning our time at the Grand Prix. In addition to 3-day passes, single day admission tickets are also available. I recommend buying your tickets as soon as they go on sale, to get the best choice of seats. Friday is typically a general admission day, with assigned seating on Saturday and Sunday. There are paddock passes available for separate purchase. Junior pricing admission is available for children 12 years of age and under, making the weekend more affordable for families. If you’re coming fro out-of-town, there are great hotels, many fantastic restaurants and things to do in downtown St. Petersburg. Some within walking distance of the Firestone Grand Prix. I recommend making hotel reservations as soon as you can, since this is such a popular event. 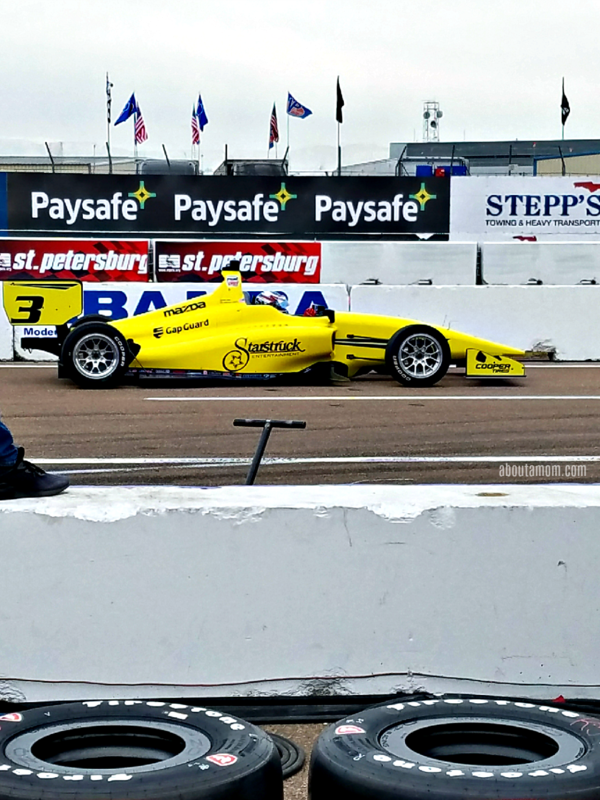 The Firestone Grand Prix of St. Petersburg is a great time for parents and junior race fans alike. Visit gpstpete.com to learn more. You might also enjoy reading about LEGOLAND Beach Retreat in Florida or Tips for Getting Passports for Kids. Awesome tips! I think this sounds like a really fun family actiity! For sure for older kids! 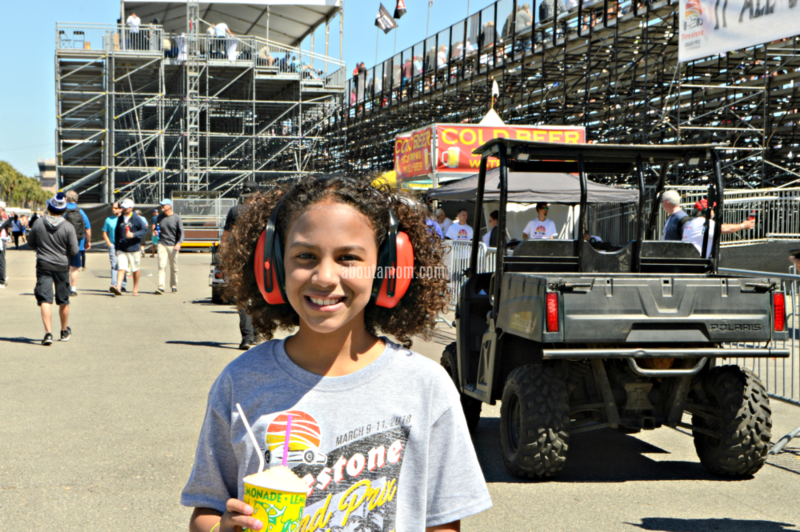 These are all great tips to ensure both parents and kids enjoy this grand prix event. I am sure those cars are loud, but I love loud cars! I’ve never been to a Gran Prix race before, but always wanted to. Only been to NASCAR so far and it was just too loud! I know that my husband would love to visit Grand Prix. Sunscreen and a hat are always a must when attending to any outdoor events. Good to know they have earmuffs for purchase if you need them. I think it would be fun to go! No doubt my boys would lose their minds on a trip like this! These are wonderful tips and I will keep them in mind if we ever get the chance!